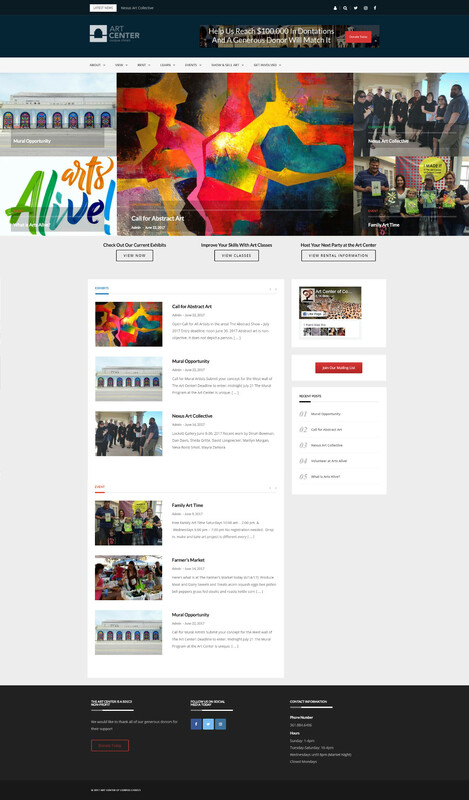 I originally rebuilt the Art Center’s website back in August of 2016. Since then, the Art Center has seen an increase in both web and foot traffic with the facility consistently rented and classes often full. 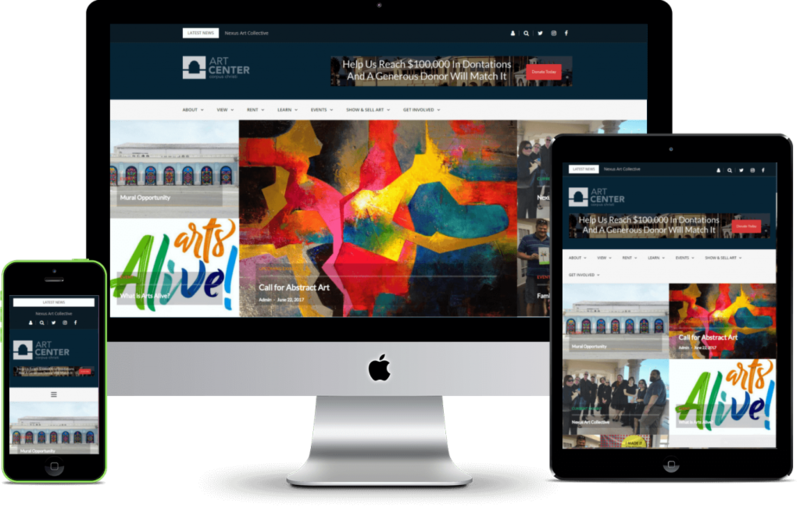 After working with new website and seeing its potential, both technical and traffic wise, the Art Center’s staff currently has plans to consolidate various other services such as membership and art class sign-up. There are also plans to sell art directly though the website. Even though it will be a few months before plans are solidified, the staff was looking for a slight refresh to the design of the website to reflect the recent growth and prepare for future expansion.